This past weekend, Matt and I found ourselves in San Fran with no dinner reservation. 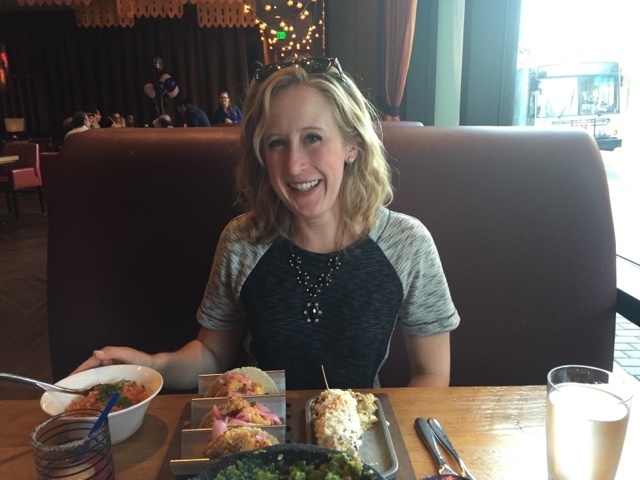 After scouring Yelp, I recognized a name — Rosa Mexicano. Side story: My parents lived in Connecticut when I was a baby and celebrated my first birthday in NYC. Growing up, they always said they would bring me back there for my sixteenth birthday. 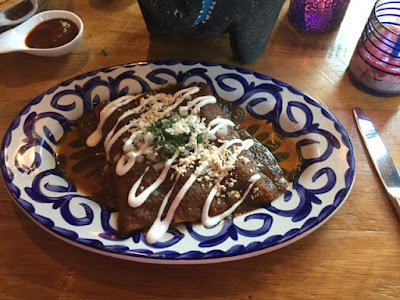 We went for a long weekend and one of the places that we ate at was Rosa Mexicano. It was a fabulous Mexican restaurant. I had no idea that they had an SF location, but Matt and I were able to stop in early enough that we didn't need a reservation. We started with their famous frozen pomegranate margaritas. So delicious. 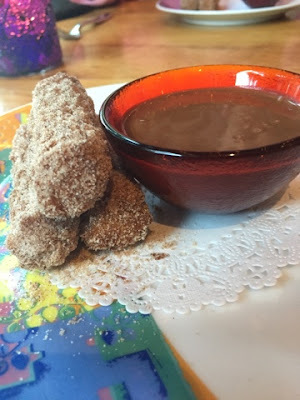 They had a $30/person special going where you order an appetizer for the table, each person orders a taco or enchilada and then you get churros for dessert. For the appetizer we chose their table side gauc. 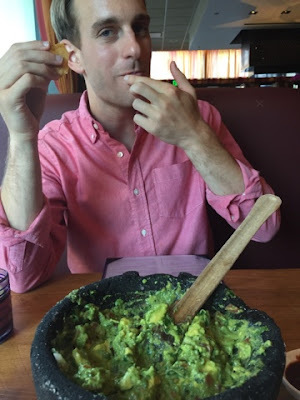 The guacamole was delicious. I was watching for some tips because I recently picked up a mortar and pestle and I will be preparing some guacamole for a work party this month. 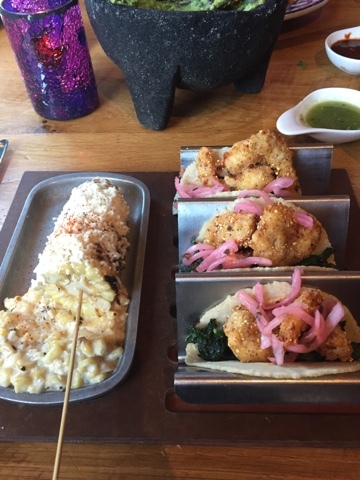 For an entree, I got the Camarones Capeados which was a fish taco with kale and pickled onion. It came with rice and Mexican street corn. It was good, but SO MUCH FOOD. I've noticed since Whole30 that any meals that combine multiple food groups that I didn't eat (like legumes, grains, ect) fill me up and tend to make me bloated. I got bloated after this one, but it was so worth it. Matt ordered the Mestiza enchilada which was a delicious short rib one. Very rich and very yummy. Dessert was churros with some type of coffee/chocolate sauce. Just delightful and not a bad deal for a 3 course meal!